> Today, as announced Admiral Ataç, commander of Turkish Navy visited F-491 TCG Giresun in Gulf of Aden. 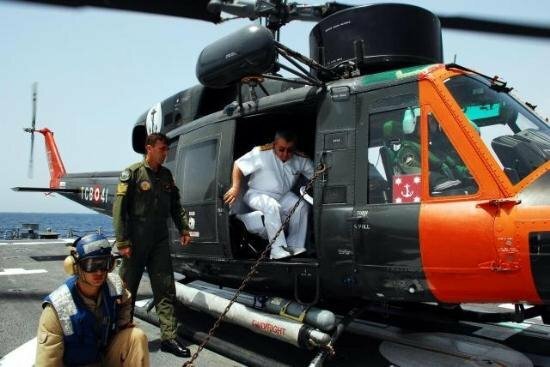 Before flying to the ship Admiral Ataç was in Bahrain. Here he contacted Bahraini high ranking military officers and the commander of the US 5th Fleet. Commander of CTF-151 Rear Adm. Terence McKnight, visited Admiral Ataç on board of TCG Giresun as well. Rear Adm. Terence Mc expresed that he was happy to have TCG Giresun in the task force. “I am here to express how I am proud of the heroic TGC Giresun frigate which is sailing 1,700 miles away from home,” Admiral Metin Atac, Commander of Turkish Naval Forces, told the crew. “Turkey has sent a military vessel to the Indian Ocean for the first time after a long time of period. This is a very important operation for Turkey,” he adeed. 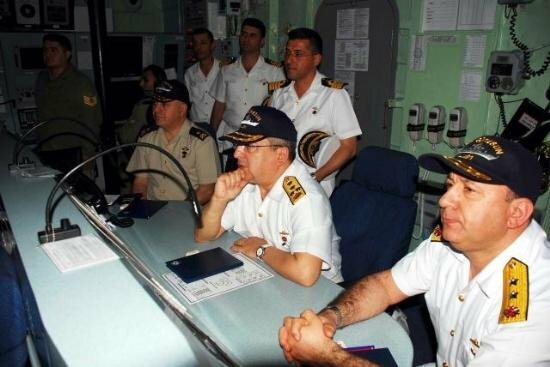 I am sure the visit of Admiral Ataç was a big moral boost for the crew of TCG Giresun. According to news, Admiral Ataç brought videos, mails, photos and drawings from the family members in Turkey.